This story is reproduced by Public Watchdogs under the fair use provision of U.S. Copyright law. Please read the original story at the San Diego Union Tribune here. 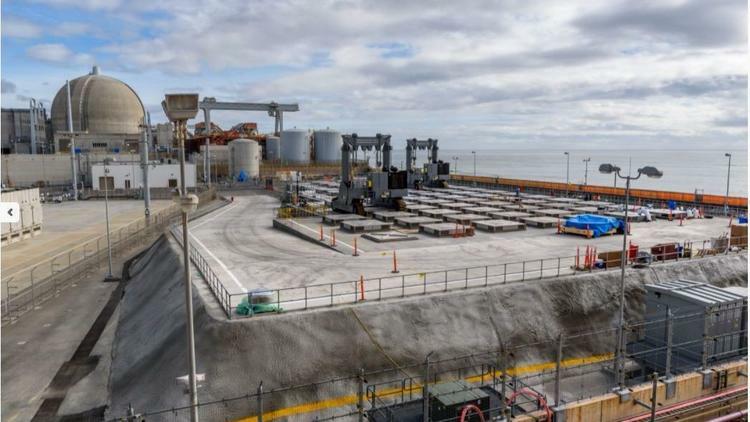 The site of the dry cask storage facility that holds the spent nuclear fuel at the San Onofre Nuclear Generating Station. (Photo by Southern California Edison). “This is a marked improvement from the 2014 decision,” CPUC president Michael Pickersaid just before the vote. This story is republished under the Fair Use provision of U.S. Copyright law. Please cite and link to the story at the San Diego Union Tribune when referencing this article.